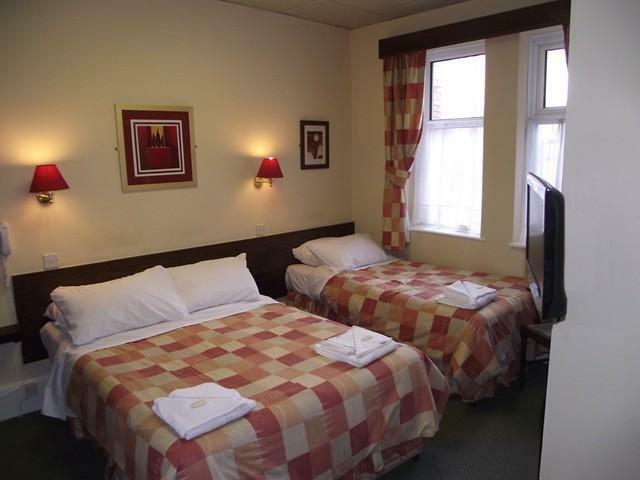 This Ground floor triple sleeps 3 people in 1 double and 1 single bed. En-suite Shower with towels and toiletries provided. There is also a TV, and hospitality tray with tea, coffee.Free Wi-Fi.